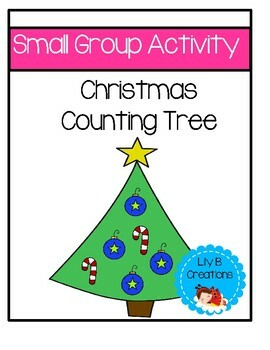 Begin your small group activity by showing the children the large tree handout. How many candy canes do you see? 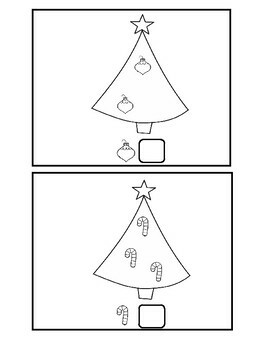 How many presents do you see? How many blue ornaments do you see? How many yellow ornaments do you see? 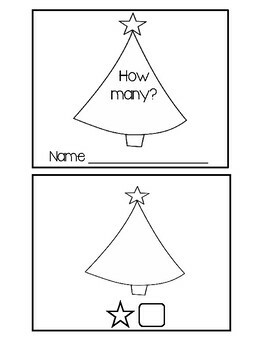 Next the children will complete a book by counting the objects on the tree and writing the sum in the box.